I saw Pete busk in Tamworth a while ago. We have been friends on Facebook for a while and we keep missing each other. I am at a Tamworth that he isn’t at or visa versa. This is a long awaited album. Pete works hard for his music. He is a very passionate artist with a lot to give. So as he gives a lot, listen a lot, guys and gals. You won’t be disappointed. He is one of those artists who may never be the superstar (I am not sure that he wants to be), but he has more talent in his little finger than many have in their entire music catalogue. Of the 79 types of country music, Pete covers most with his music. He also goes outside the square and tinkers with other genres. He resides in Bundaberg, Queensland, where my grandmother came from. He gets bonus points for that fact. Bundy is a place famous for Hinkler, Rum and pubs on just about every corner and Gladys Moncrieff. One day, it will be famous for Pete O’Brien. Pete’s voice is a mixture of many artists. Sometimes I hear Jim Croce, Instrumentally, I sometimes hear my hero, James Taylor, there are times when I hear Brian Mannix or even a touch of Jon Bon Jovi or Steve Tyler. Mainly I hear Pete O’Brien. There is a bluesy, soul kinda feel to Pete’s songs. Sometimes smooth and gentle, sometimes gutsy and earthy. Either way, they are damn fine songs. I am doing this review without aid of the details, I am just go on gut instinct. I have the feeling that Pete writes and sings his songs on gut instinct too. Live for the day – Almost a party song, title explains it all. Clap along. To the End – A love song, basically, but a toe tapping one. Real Love – Another love song….or at least a search for it. A slightly psychedelic feel to this song, 60’s like. 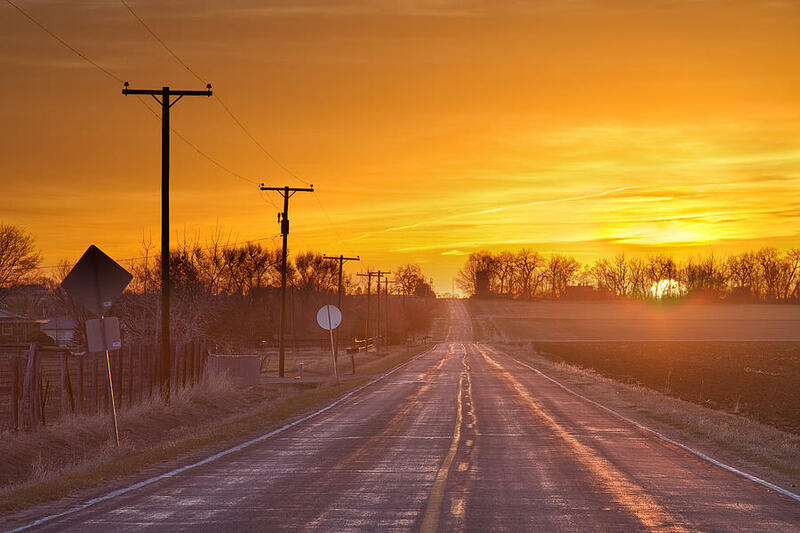 The Road (feat. Bre Ferguson) – beautiful song, showing yet another side to Pete’s amazing versatility. Lovely duet with Bre, I hope that I hear more from her too. When we were young – Autobiographical, I think. A very earthy rhythm and and a heartfelt story. Lost in Reality – Channelling Cat Stevens or the artist formally known as, or whatever. Probably one of my faves on the album. Child – I know where this song is coming from and bless him for it. A beautiful heartfelt, soulful song and a note to all: real love, real light is not always found in the conventional ways. Simple joys from those who are placed in difficult situations are the most amazing gifts that we can receive. Fall in love with you – A little bit of a Bob Seger feel here, oh boy, aren’t we doing a lot of comparisons here….nothing like a bit of an earthy acoustic number to bring out the soul of Mr Seger. Give a little bit – I thought that this was going to be the old Supertramp song for a minute there. Pete and i must be in sync with the same generation! Totally different, but cool song. This album was well worth the wait. With all of the comparisons, it makes sense that Pete is a complete artist. His songs ring true with some of the greats, yet he is, in the end, Pete. Enjoy every moment of this album. Blood, sweat and tears went into every song, and this is a man who truly involves himself in every chord and word. Flying the Flag Awards: Aly Cook, Dianna Corcoran, The Weeping Willows, 8 Ball Aitken, Lachlan Bryan and The Wildes, Nicki Gillis, Craig Morrison, Kasey Chambers, Tamara Stewart and Keith Urban. Mall of Fame Inductees: This year: Graeme Connors, Rex Dallas, Ray Kernaghan, Reg Poole, The Flying Emus and The Dead Ringer Band. Kazzie Awards Part 3 – The Last Bit! At this point, I would like to say that I am really looking forward to the new albums and EPs by Darren Colston, Luke O’Shea, Michael Carr, Jo Caseley, Anthony Taylor, Melody Feder, Allison Forbes, The Weeping Willows, Amber Lawrence and all of the other new music that is rumoured to be coming out in the new year. 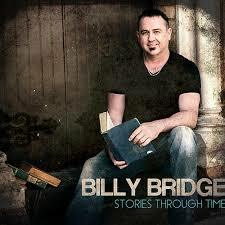 It has been a bumper year for Australian Country Music. I hope that it continues! To me, this is one of the most important awards of the night/day. These guys and gals work their butts off, do the miles and make the lead singer sound even better. Sometimes at Tamworth, you can go to 6 or 7 gigs in one day, and these folks will be in every band. Thank you for what you do. These were four of the best concerts that I have ever been to. For Iris to nudge out my fave, Mare, it must have been a tough call. This is the toughest category of all. I have been to heaps this year and missed a few because of minor illness. I can only judge on what I have been to, and it was a big ask, even getting it down to a few nominations. I thank everybody for their beautiful music, their humour and the joy that they have brought me as a fan. Lachlan Bryan Album Launch at The Caravan Club, Melbourne, with The Weeping Willows, Gretta Ziller and Allan Caswell. 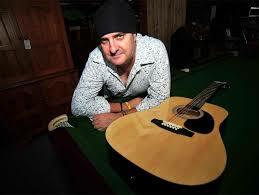 Luke O’Shea, Michael Bryers and Jo Caseley – Songwriters in the Round, Tamworth Services Club, TCMF. Carter and Carter House Concert, Tamworth, TCMF, with Paul Costa and Amber Lawrence. Darren Colston at the Tudor, Tamworth, TCMF. Most hits on the Blog: Beccy Cole, Poster Girl Autobiography. And the Purple Guitar Goes to: Lachlan Bryan and The Wildes, The Mountain. 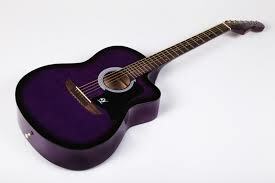 And the Purple Guitar Goes to: Amber Lawrence. A big thank you to all of the wonderful country music dj’s, vj’s, fans, roadies, sound and lighting guys and gals and organizers. Most of all, thank you to all of the artists, particularly Amber Lawrence, Aleyce Simmonds, Susan Lily, Ian Bidge Boyd, Gary Hammond, Tracey Davis, Rusty Cochrane, Melinda Schneider, Paul Costa, Allison Forbes, Melissa Robertson, Wendy Wood, Luke O’Shea, Darren Colston, Allan Caswell, Lachlan Bryan, Gretta Ziller, The Weeping Willows and the incredibly fabulous Mike Carr for making me feel so speccy. For all reviews on albums and gigs, please see on Country As (This Blog) and A Country Hattitude (link on the side). 2015 Kazzie Awards Part 2 – Part 3 soon! Sorry for the delay folks, have had some technical difficulties. This year: Graeme Connors, Rex Dallas, Ray Kernaghan, Reg Poole, The Flying Emus and The Dead Ringer Band. Thank you to all for your fine contributions to the Australian Country Music Industry and the joy that you have brought us fans. Aly Cook, Dianna Corcoran, The Weeping Willows, 8 Ball Aitken, Lachlan Bryan and The Wildes, Nicki Gillis, Craig Morrison, Kasey Chambers, Tamara Stewart and Keith Urban. Kazzie Awards part one……part 2 tomorrow!